Welcome to our video about changing solicitors. 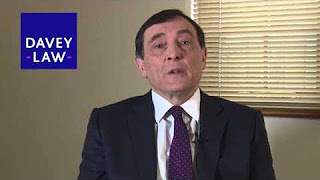 In the video our serious injury expert explains that Davey Law regularly take on cases that have been poorly handled by other solicitors. He reminds us that nobody can stop you from changing solicitors if you are unhappy. There are lots of reasons that you might want to change solicitors. Perhaps your claim doesn’t seem to be going anywhere or you just don’t get on with your current lawyer. Maybe you feel that someone else might understand your claim better or have more access to specialists who could support your claim. If you are part way through the process of making your claim but are not happy with the service being provided by your legal team then you are well within your rights to seek advice on changing solicitors. In our changing solicitors video Peter explains that if you do decide to instruct us you will not have to deal further with your current solicitor, you can leave everything to us. If you are concerned about how your compensation claim is being handled by your current solicitors call us on 01285 654785 in complete confidence and without obligation.